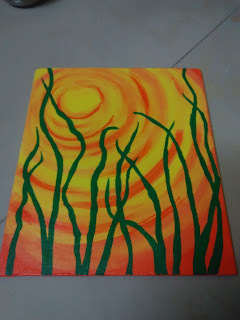 Checkout this cool new painting done in last week. 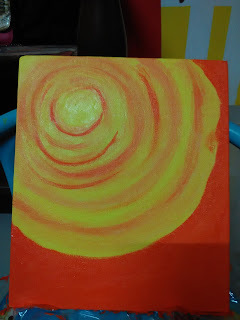 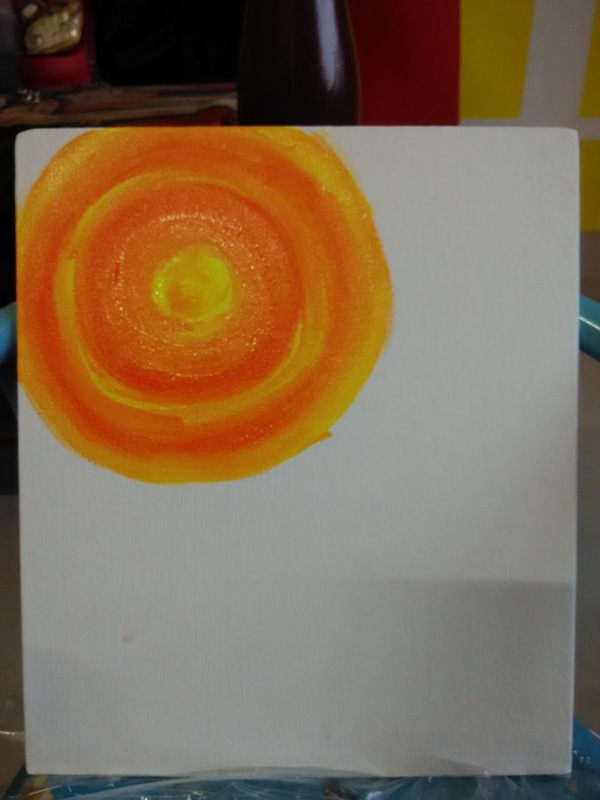 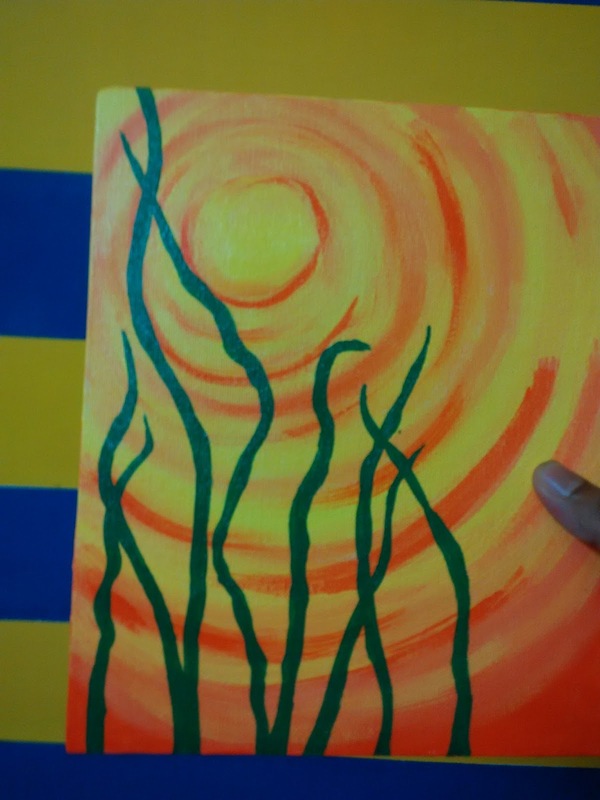 After painting lots of cartoon characters I have decided to start with some color blending paintings and I started painting this beautiful sunset pattern on canvas board. 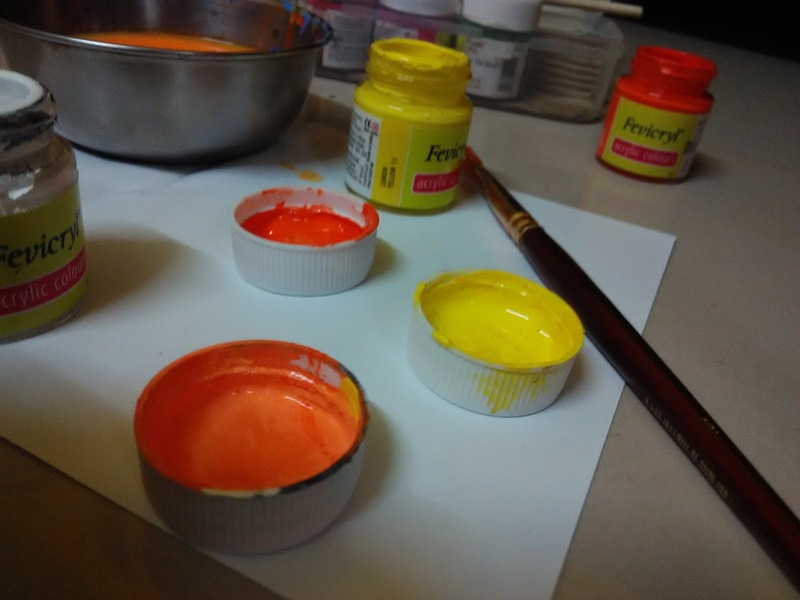 you can see all the pictures that I have uploaded in this post to understand how I started this and how does the blending of colors is done. 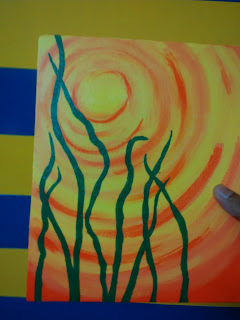 It took more time than painting cartoon characters but I love this art very much only because of color blends. 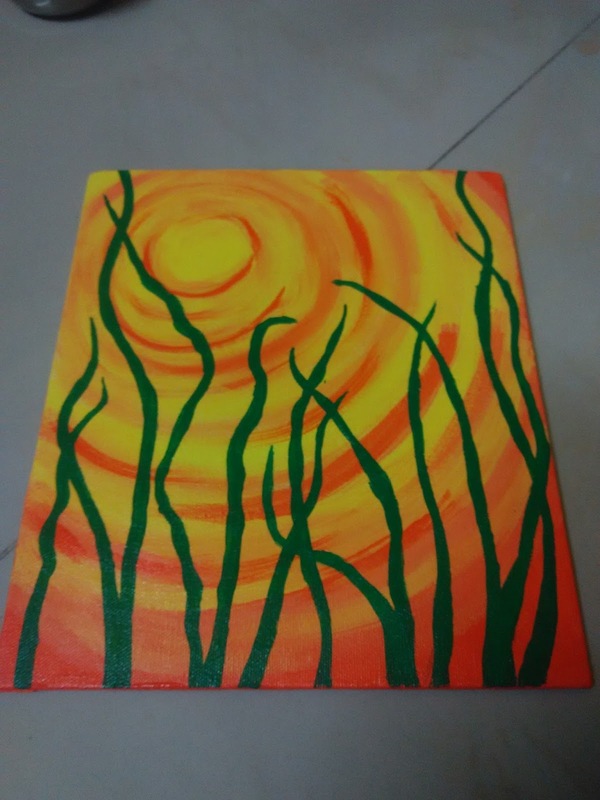 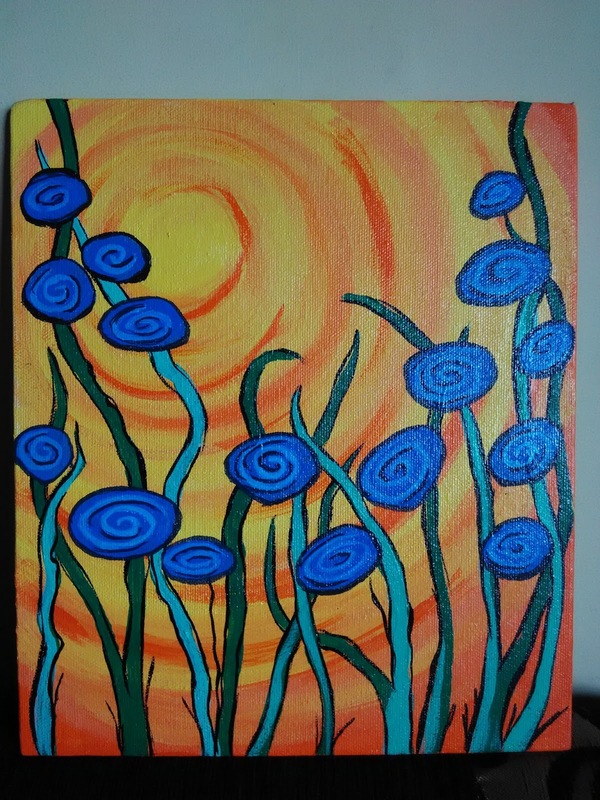 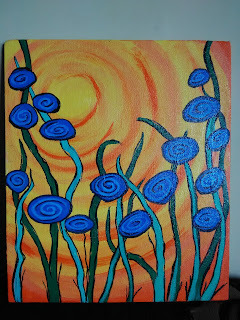 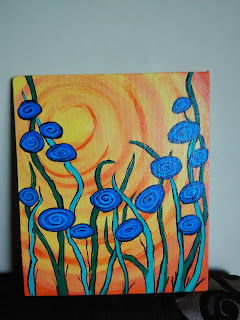 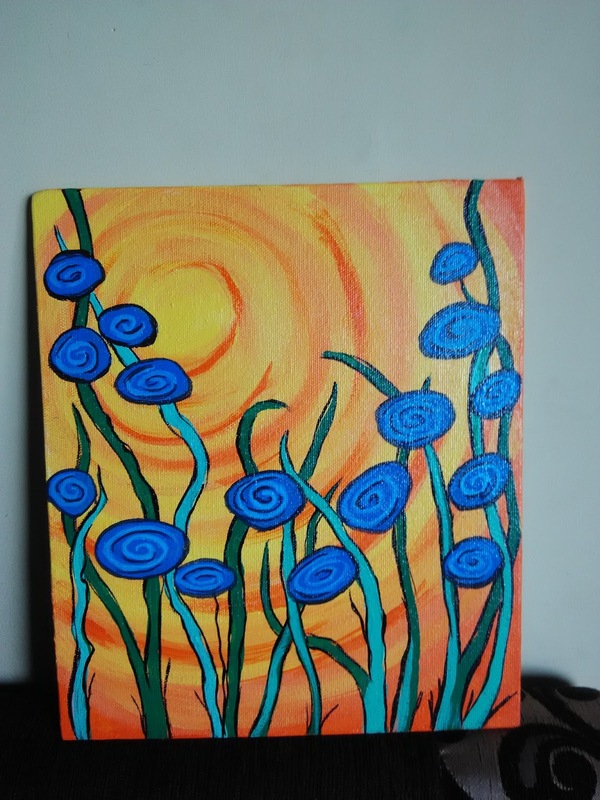 This painting can be a beautiful gift, specially for nature lovers.